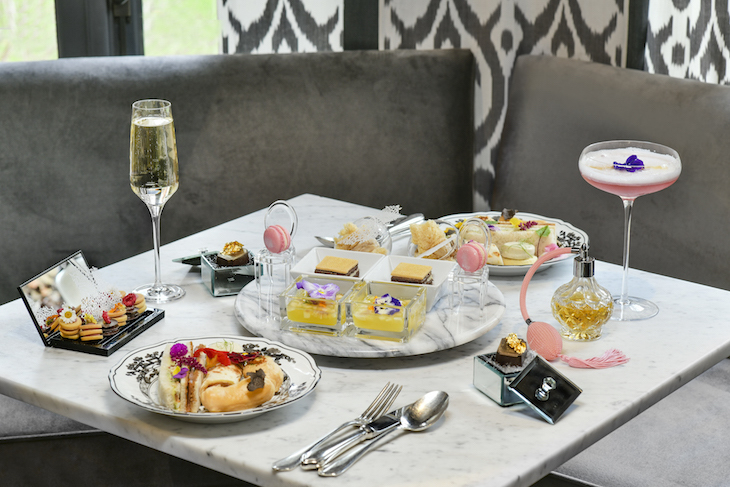 When the V&A unveiled its Christian Dior exhibition — so popular that ticket sales crashed the museum's website — it was only a matter of time until someone launched a corresponding afternoon tea to cash in on the success. 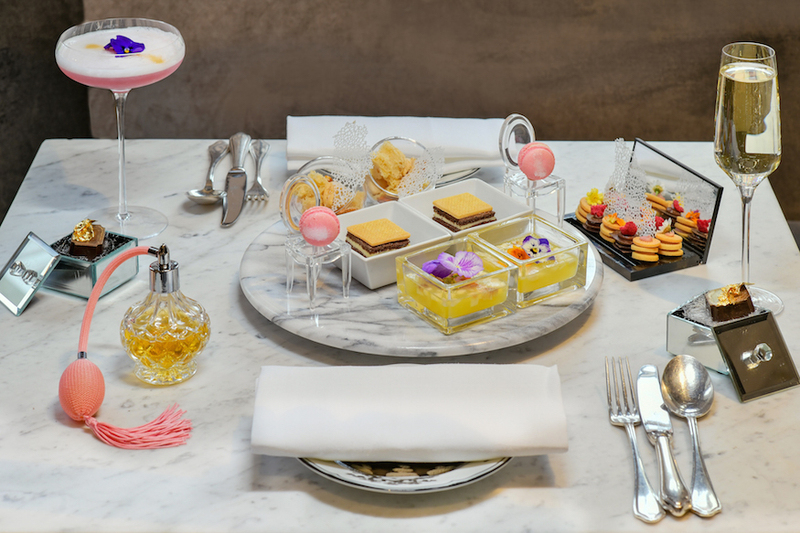 Enter the Culinary Fashion Experience at the Franklin Hotel, an afternoon tea in all but name. The fashion-inspired meal brings together elements of the French fashion designer's life through savoury and sweet menu items, all prepared by Michelin-starred Chef Alfredo Russo. Highlights include the J’adore, a peanut sponge and dulcey chocolate cream served with vaporised Calvados ,a spirit hailing from Dior's Normandy home. The apple brandy is served in a perfume bottle, referencing the Dior scent of the same name. Another nod to Dior's Normandy roots comes in the form of Le Montaigne, a white and milk chocolate cake which originates in the area. 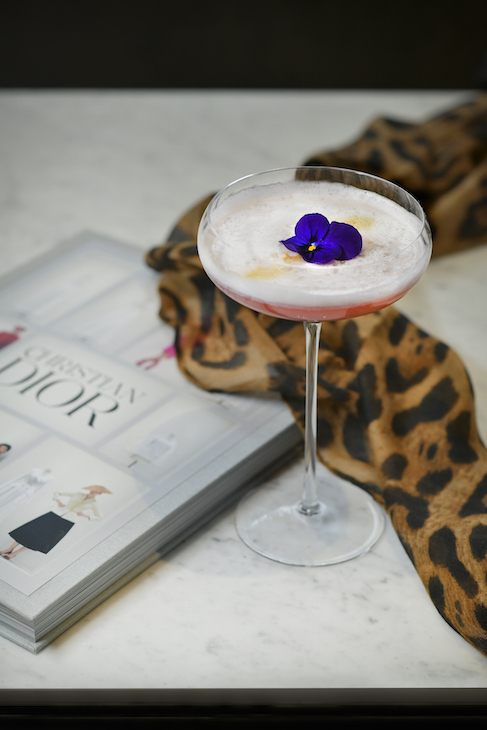 Fashion fans will be thrilled by a ‘make-up palette’ of French petit fours, and the Mitzah cocktail is a tribute to Mitzah Bricard, Dior's muse who was best known for her love of leopard print. The hotel's own mixologist Salvatore Maggio designed the cocktail, which contains Sauvelle Vodka, L’Original Combier, Triple Sec, Combier Crème de Violette, lemon juice, egg white, sugar syrup and blackberries. The Franklin Hotel previously offered a Frida Kahlo afternoon tea, coinciding with the V&A's exhibition about the Mexican artist, and its sister hotels The Gore and The Pelham served a Silly Old Bear tea to tie in with the Winnie the Pooh exhibition, both of which captured their subject charmingly. The Culinary Fashion Experience is available 14 February-14 July 2019 at The Franklin, 24 Egerton Gardens, Knightsbridge, SW3 2DB. It costs £55 per person including a ticket to the exhibition, or £40 without, and needs to be booked in advance.